Sketch Tuesday – Measure It! Please note this is a two week assignment. I am having major surgery later this week and I’m not sure I will be able to post a slideshow on the 23rd. So, please create your sketches and send them in and I will do my best to have them posted on 10/30. This week’s assignment is due Monday, October 29, 2018. 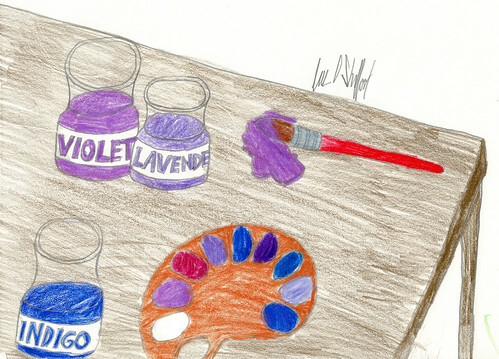 Thank you for sharing all your purple sketches with the slideshow! Link to the Sketch Something With Claws slideshow on Flickr: Sketch something purple. All sketchers are welcome and there is no need to sign up. Send in your sketches in jpg format and mail them to: [email protected] by Monday, October 29, 2018 for sketches and I will include them in Tuesday’s slideshow. Complete instructions are found by clicking the Sketch Tuesday tab at the top of my blog.